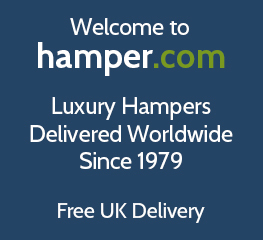 Welcome to hamper.com, handmade get well soon hampers since 1979. Say "get well soon" or " thinking of you", with one of our specially designed get well soon hampers and fruit gift baskets. What better way to lift their spirits when sick or ill with a food basket filled with healthy goodies to enjoy! Our carefully arranged hampers will provide comfort for your loved ones when their feeling under the weather, our hamper are sure to brighten up their day. Buy your best wishes hamper today and show how much you care with fast & free next day UK delivery and personalised get well message. These get well soon hampers & gift baskets are a great alternative to a bag of grapes and will delight anyone feeling a little under the weather. Send get well wishes and order your get well soon hamper today. Free UK next day delivery is included on all our hampers, just place your online order by 2pm! If our Get Well Soon hampers aren't the right remedy, show them you care and create your own get well soon hamper filled with fruit, treats and soft drinks to make their day. Hampers are a great pick me up, if you or your recipient are sick, ill or just under the weather, we have a hamper that will brighten up their day!